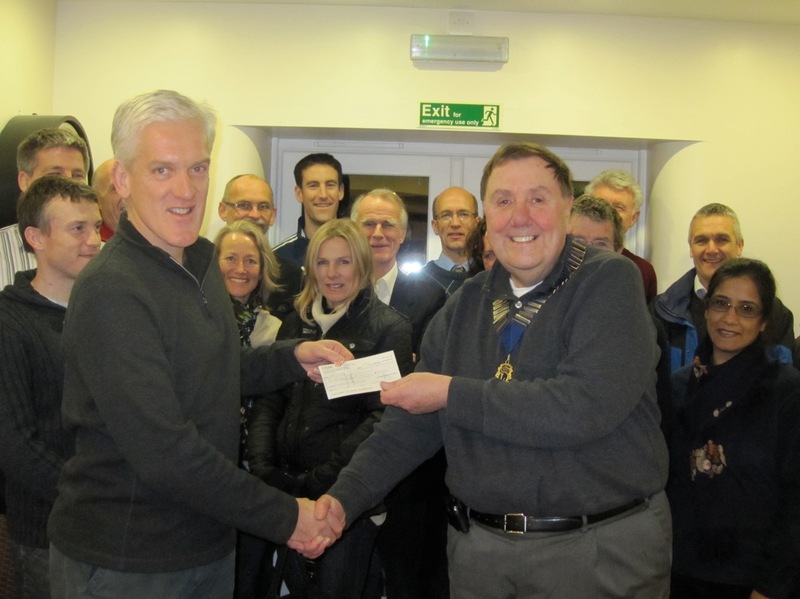 Lion President Peter Bacon receives a cheque from the Alton Runners, Men’s Captain, Guy Henshaw, for £2000 recognising the effort the Lions Club of Alton contributes to the success of the Alton 10 Road Race and the Downland Challenge 10K & 5K fun runs each year. This donation forms an important element of the funds that are used to support local charities and the community services, community projects and individual support provided each year by Alton Lions. Every year Alton Lions, together with Alton Runners, organise the Alton 10, a ten-mile road race in May and, at the start of the cross-country season in October, and the Downland Challenge 10k & 5k races. The Alton 10 is part of the Hampshire Road Race League competition and draws a large entry from all over the county as well as many other runners from the south of England and entries typically exceed 600 runners. The Downland Challenge 10k cross-country race is combined with a 5k route for younger runners and local schools help promote it in order to encourage young people to keep fit and there is a cup for the school with the most successful entry. Runners pay a fee to enter the races and after expenses have been deducted the surplus is donated to the Lions Club of Alton who provide the race administration, course supervisors and marshals for each race.